I'm grateful for the chance to see Act Two of the fall Best of the Northwest art fair. Not only did I get to see more art and purchase a thing or two, I ran into one of my own collectors! 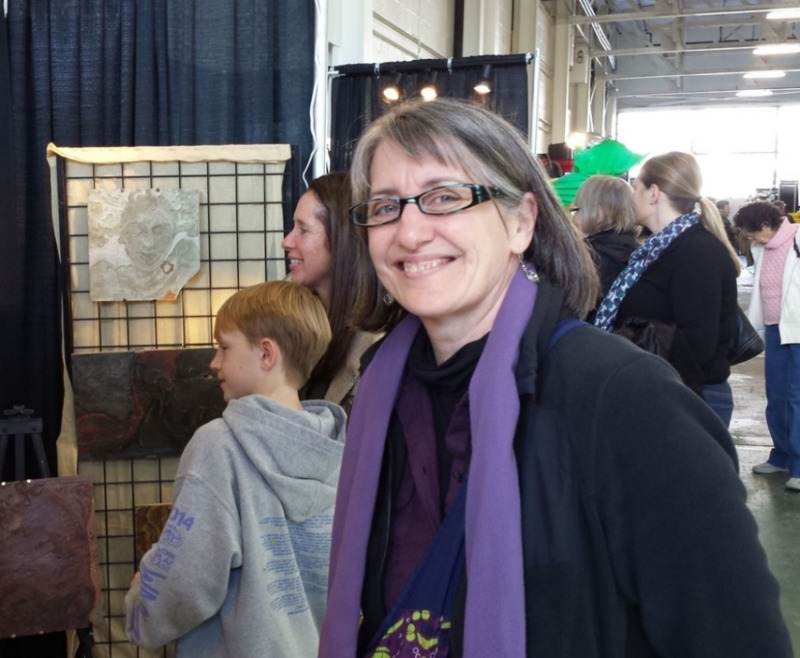 Say hi to Mary, who took home one of my prints during the October Best of the Northwest. P.S. Mary says she's grateful for having come to both halves of the fall show too. Share with the class! Email me at yolisalisa at gmail and tell me what's making you feel grateful at the moment.